Katie was just GLOWING all day! 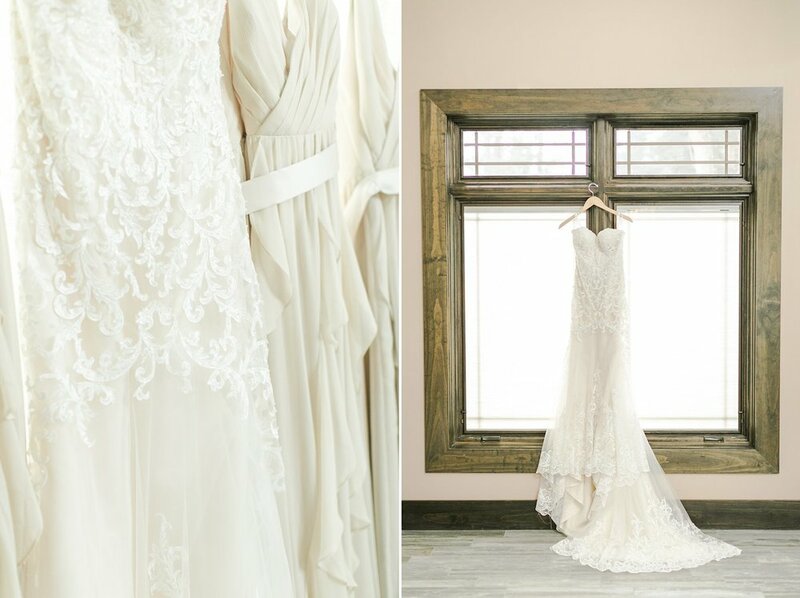 From the moment I walked into her bridal suite, from my last hug goodbye, she had the biggest smile glued to her face the entire day! 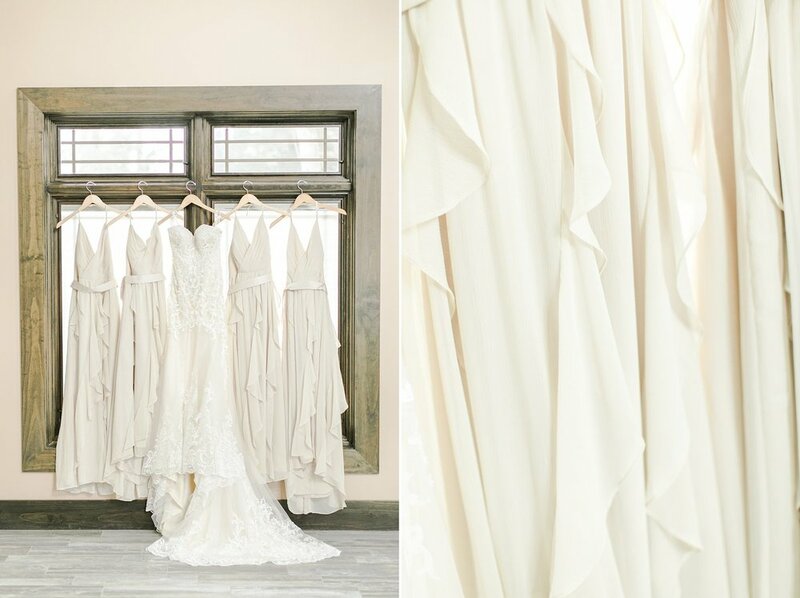 She was so calm in the morning and was just so excited for the day and the moment she stepped into her wedding dress, there were gasps from everyone in the room! (wait till you see that shot of her girls!) Her dress was STUNNING. It was almost like it was designed and created FOR her! She was just absolutely gorgeous! 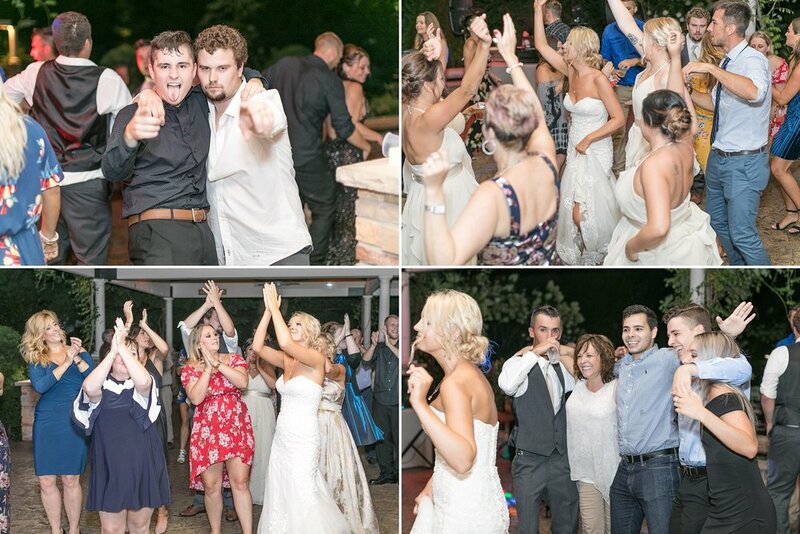 I could tell from all of Zach and Katie's friends, family and wedding party members that they all just adore them so much! 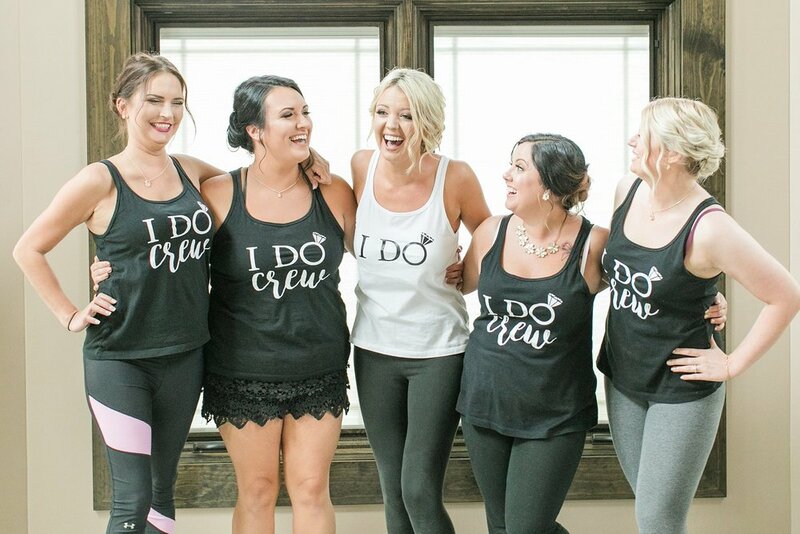 I had such a blast celebrating their wedding day with them and I'm SO excited for you to see a peek into what their day looked like! 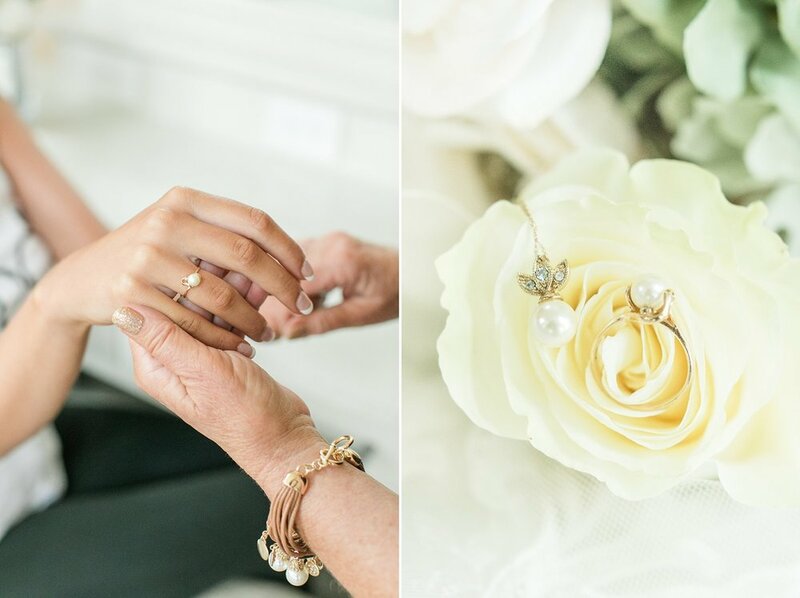 Katie's mom gifted her a matching pearl necklace and ring to wear on her wedding day! She is also the one who designed and made all of the bouquets! How special is that! 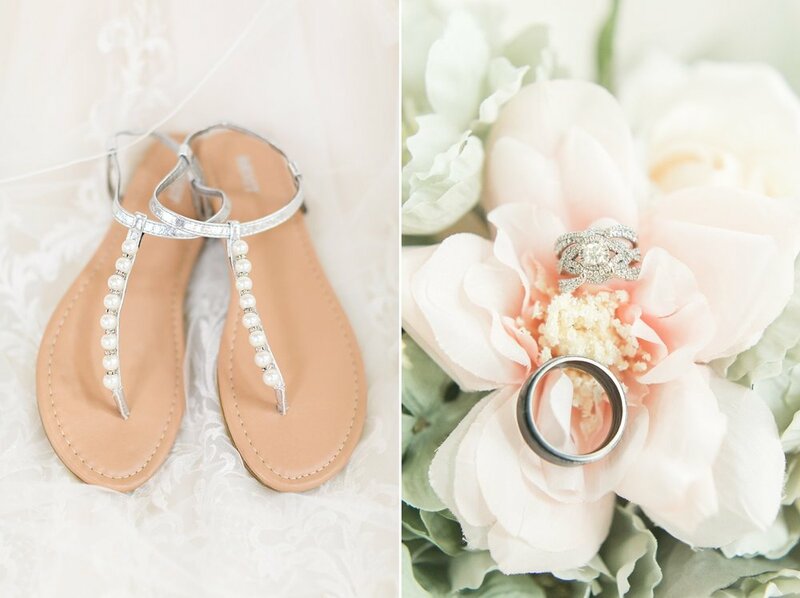 Katie will look back at these photos from her wedding and know that her mom is the one that made her bouquet! I loved that!! When Katie got zipped up in her dress and turned around, her girls just got SO quiet! And they all let out a big "AWHHHH!" It was such a special moment! She looked like a princess! 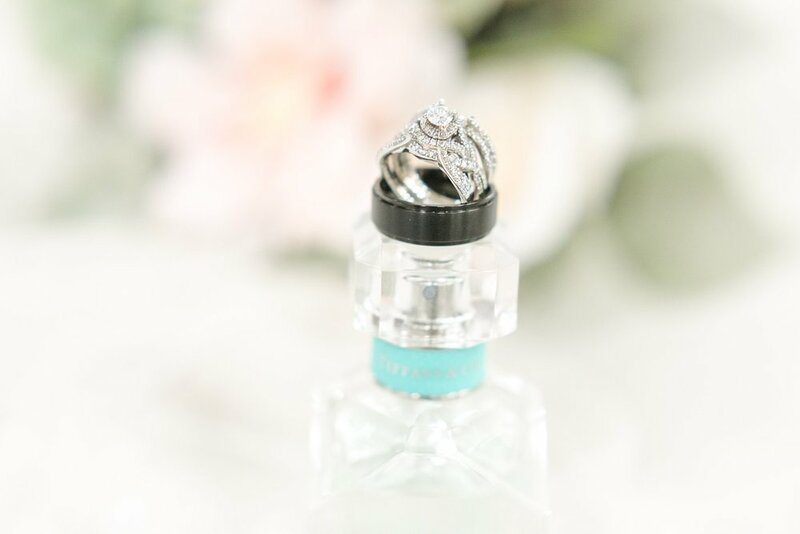 I LOVE classy perfume bottles and this Tiffany & Co. perfume is definitely one of my favorites! It's so elegant AND Zach gifted this to her!! 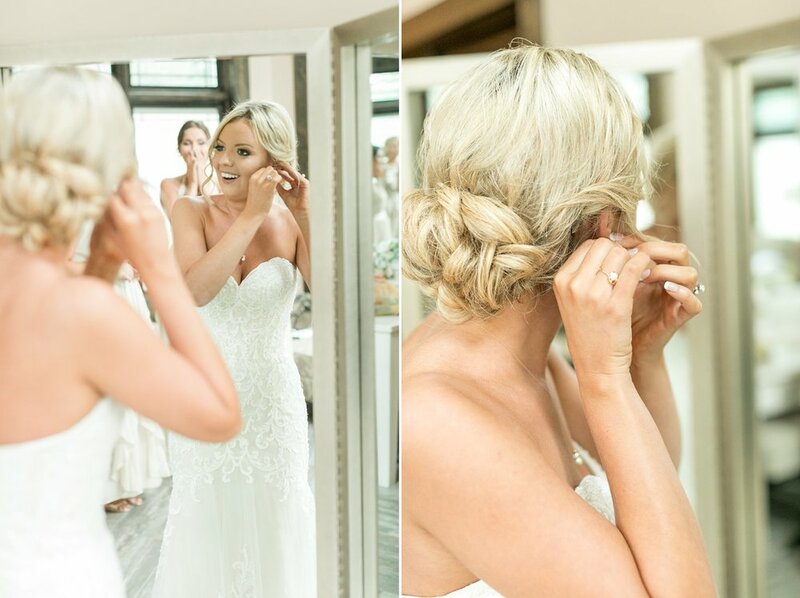 Katie's last look in the mirror before going off to be a WIFE! She just looked SO perfect! So handsome!! Time to go get these two MARRIED! We had the most perfect timing (and weather!) for their bride and groom portraits! The GLOW that was peeking through these tall tree trunks was just SO DREAMY! I'm obsessed with all of these!! ^^ FAV.OR.ITE! Katie, you were just BEAMING!!! 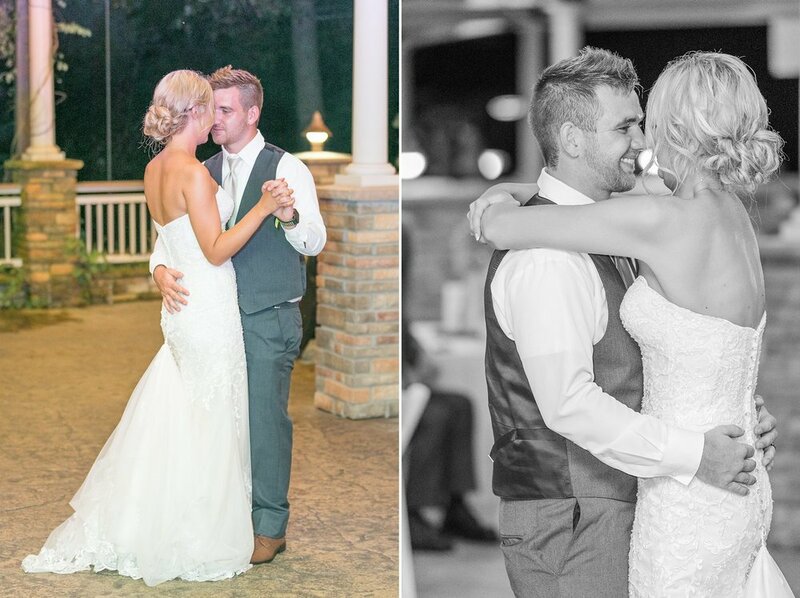 Zach, you've got yourself a beautiful wife!! When I saw Katie's mom crying during the daddy-daughter dance, I just about bawled my eyes out. These are the moments that I get to capture and that remind me every day that I have the best job in the world! This reception was JUMPING! 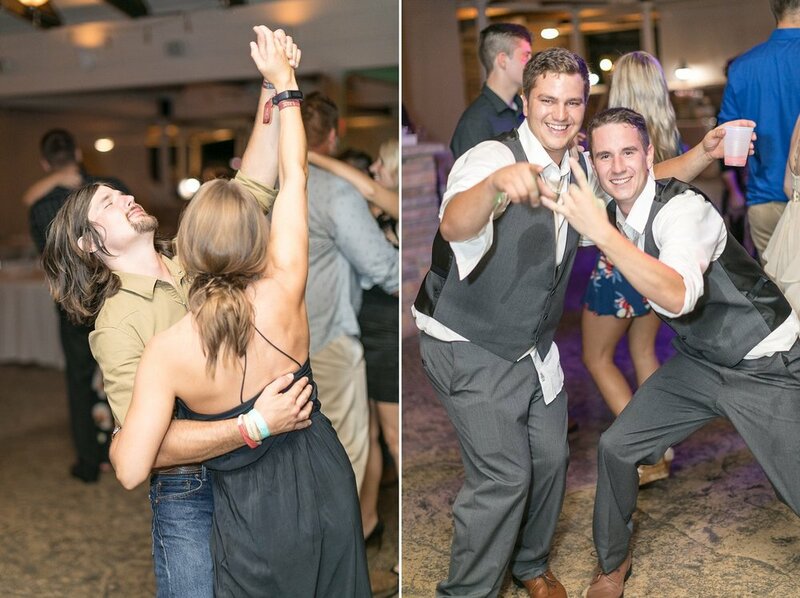 Their friends and family flooded the dance floor and kept it packed the entire night! 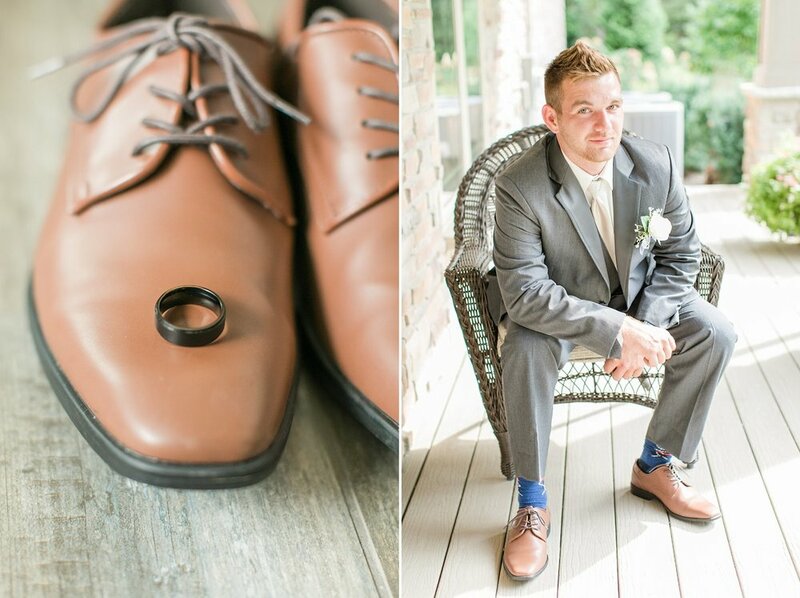 Katie and Zach, thank you so much for allowing me to share your wedding day with you and capture everything for you! I hope you are having an AMAZING time on your honeymoon in Charleston, SC! !